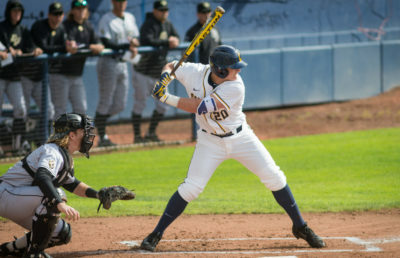 In one of its last weekend series of the season, the Cal baseball team (22-26) invited No. 11 Stanford (33-14) to Evans Diamond for the first time this season, looking for revenge after dropping their first two matchups of the season. 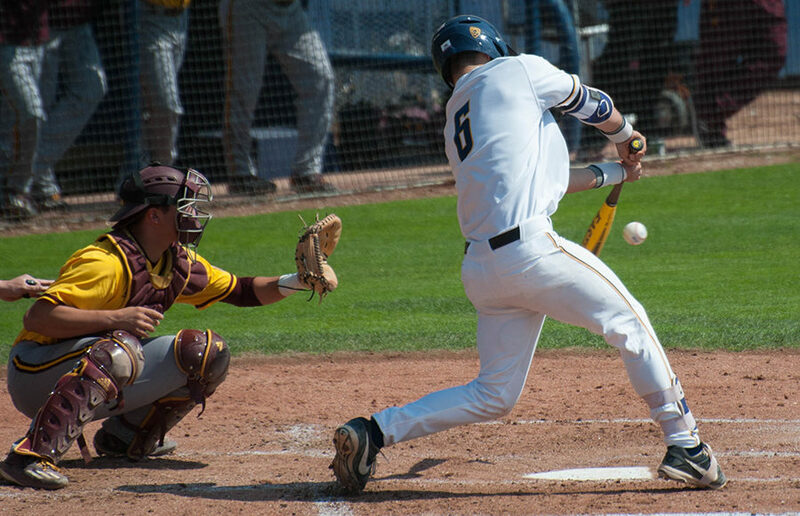 The Bears lost the first two games of the series, but they managed to elude a winless season against the Cardinal by taking one of three against their bitter rival. On Saturday, freshman starter Jared Horn stepped on the mound searching for his fourth win of the season, but the Cardinal was too tough an opponent for Horn, tagging the freshman for five runs and seven hits in five innings of work. The Bears showed some fight in the series opener, rallying in the bottom of the seventh inning after falling behind 5-2. Sophomore Jeffrey Mitchell Jr. brought the game within one run after knocking in two with a single. 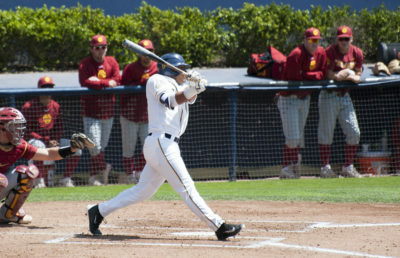 The following inning, junior Denis Karas blasted a home run over the right-field wall to tie the game up at five-all. 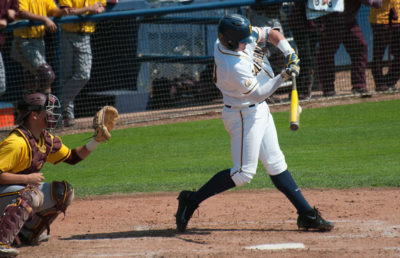 Cal forced extra innings after being down three runs, but Stanford scored one in the 10th and shut the door on the Bears in the bottom of the inning to open the series with a 6-5 victory. Fueled by sloppy defense, Cal gave Stanford opportunities to bounce back from a three-run deficit in the top of the fourth inning. The Cardinal used the three-run fourth as fuel for a two-run fifth and sixth on route to an 8-5 Cardinal victory. Despite their hiccups in the first two games of the series, the Bears didn’t allow their mistakes to carry into the final game of the series. Sophomores Tanner Dodson and Tyrus Greene singled to get the ball rolling in the bottom of the second, putting runners on first and second with no outs. Freshman Cameron Eden followed up with a perfect bunt down the third-base line for a single to load the bases. The Bears took advantage of the opportunity and got on the board to take a 1-0 lead with a single from sophomore Jonah Davis. With two outs, junior Preston Grand Pre delivered a single of his own, then advanced to second after a Stanford throwing error. Greene and Eden scored to give the Bears a comfortable 3-0 lead. Stanford battled back to tie the game up after a two-run sixth inning. Stanford sophomore Brandon Wulff brought the Cardinal within one with a solo shot and junior Matt Winaker tied the game up with a RBI single. Cal responded right away in the bottom of the inning. With a runner on third in the bottom of the sixth, Greene drove in a run by way of a ground out to give the Bears a 4-3 lead. Cal tacked on an insurance run in the bottom of the seventh inning before securing the 5-3 win, finally enjoying the sweet taste of victory against the Cardinal for the first time this season. “This last series proved that winning is hard in this conference, but our guys love a challenge,” said Cal head coach David Esquer. The Bears will remain in Berkeley this weekend for its final home series of the season against No. 7 Texas Christian University (37-13). The Horned Frogs have split their last 10 games heading into their series with the Bears, having won and lost five of their last ten ballgames. Cal’s pitching staff will likely have to face TCU’s junior Austen Wade, the Frogs’ breakout star who has been lighting up pitchers all season. In 45 games, Wade has a slash line of .360/.460/.511 with a team-high 64 hits and 13 doubles. Bear pitchers will also need to be on the lookout for slugger junior Evan Skoug, who is hitting .295/.394/.560 with a team-high 15 home runs and 53 RBI in 50 games.